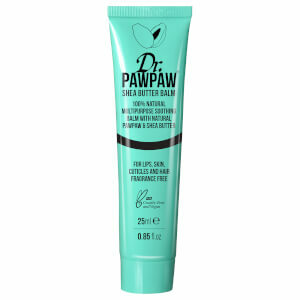 Dr. PAWPAW's Ultimate Red Balm utilises the same formula as the Original Balm but with the addition of a red tint. 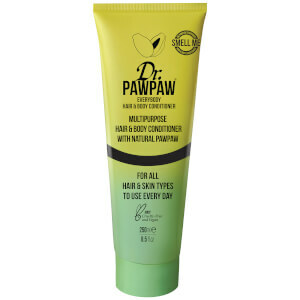 The multi-purpose balm has a variety of uses and is particularly effective layered onto lips and cheeks to add a healthy-looking flush to the complexion. Formulated with a host of natural ingredients, the tinted balm combines moisturising Aloe Barbadensis Leaf Juice with key ingredient Carica Papaya, an antioxidant-rich fruit that aids repair while protecting and intensely hydrating. Hydrating while adding a hint of tint, it can be applied sparingly or layered up to create a more intense, 'bitten lip' effect. Apply to lips and cheeks, layering to build intensity if desired. Petrolatum, Aloe Barbadenis Leaf Juice, Olea Europaea (Olive) Fruit Oil, Carica Papaya (Fermented PAWPAW), CI 16035 (F&DC red 40).